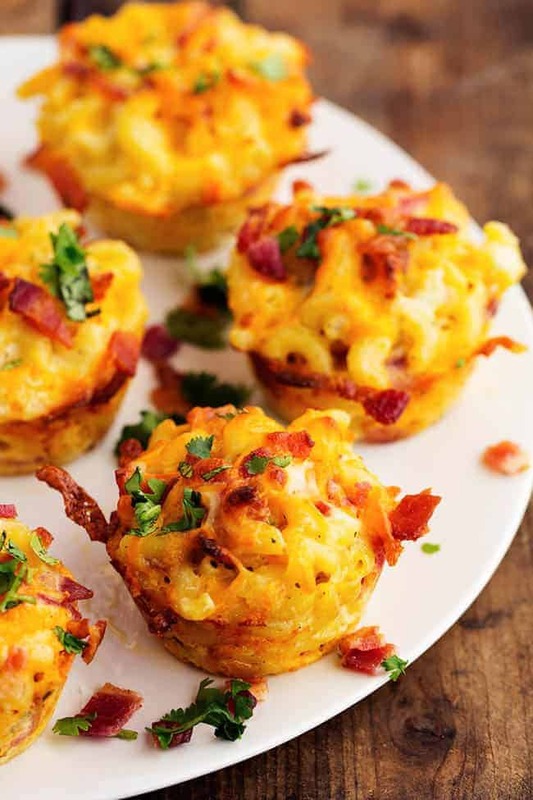 Delicious mac and cheese cups baked into cute little portions. 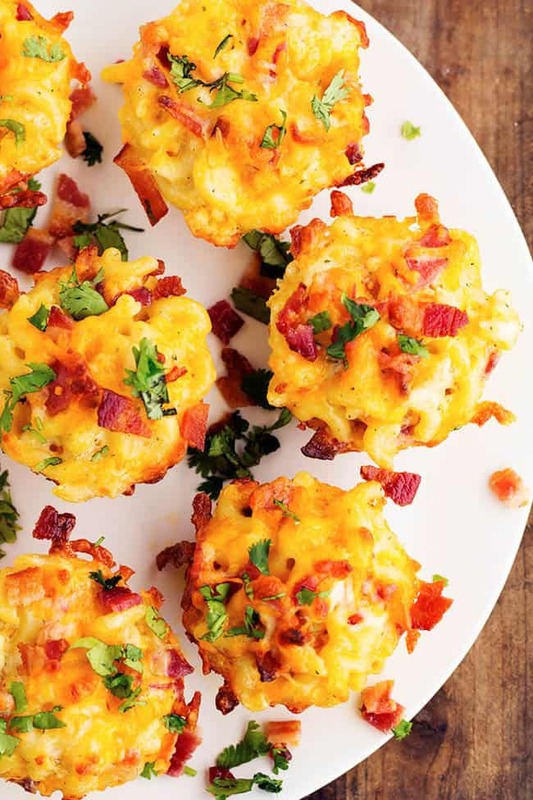 These are packed with amazing bacon, cheese, and ranch flavor and are going to be loved by kids and adults! The blog has been around for about 3 years now. I just celebrated my third year in June. 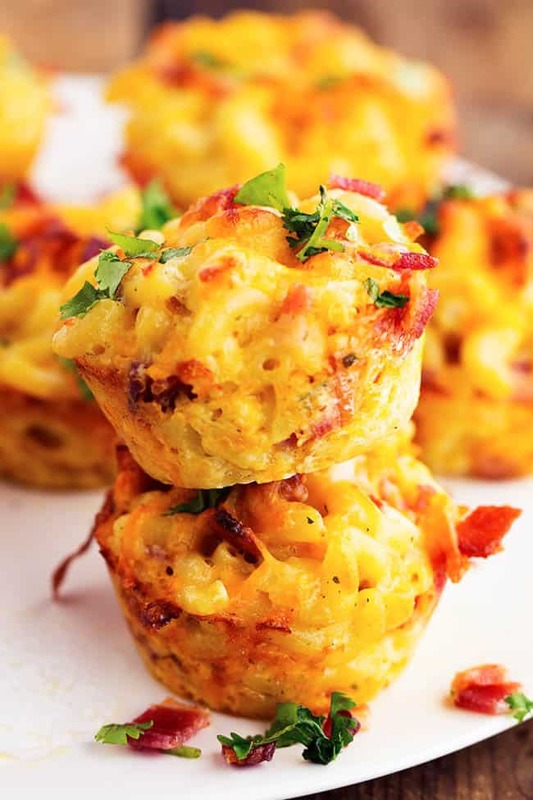 And if you ask my youngest boy Luke what one of his favorite meals is he will tell you these Mac and Cheese Cups. They were one of the first things on the blog and I knew that they would be a favorite with my family. Mac and Cheese is such a classic. But even better when you make them homemade with real cheese. When trying to think of a way to switch this recipe up, I thought of adding ranch flavor and bacon. Holy cow! These were some of the best little bites that I have ever had! I knew these were going to be good but I never imagined they were going to be as incredible as they were! I think I loved them just as much or more than my kids did! I couldn’t believe how amazing they were with the ranch flavor added to it. Seriously. The flavor is out of this world! The edges stay a little bit crispy after they get baked but the inside is soft and cheesy. The first bite blew our minds. A little cup full of macaroni noodles, cheese, ranch flavor, and bacon. What is not to love? I love how they bake into little cups and are the perfect portions for everyone. They make a great meal! Or even a side or appetizer. Whatever you make them for, you have to try them! They are sure to become a family favorite! 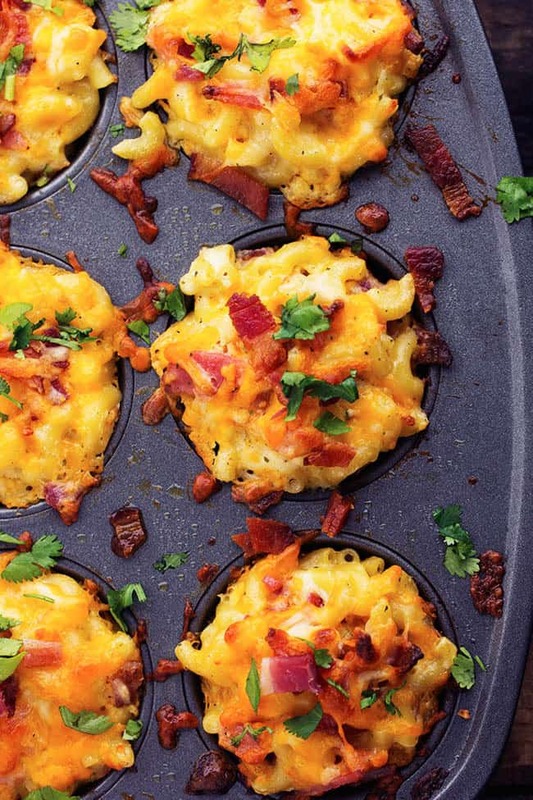 Preheat the oven to 350 degrees F. Grease a muffin tin with nonstick cooking spray and set aside. Bring a large pot to boil and cook the macaroni until al dente. Drain and set aside. In a large bowl whisk together the egg, milk, sour cream, and ranch packet. Add 1¼ cup cheddar cheese and 1¼ cup mozzarella cheese. Add macaroni noodles and bacon. Combine until coated. Spoon into prepared muffin tin. Sprinkle reserve cheese on top and bake for 30 minutes or until the tops are brown and they are heated throughout. Allow them to cool for a few minutes and serve! Can garnish with chopped parsley if desired. Looks tasty! Do you shred your own cheese or just buy pre-packaged shredded cheese? Thanks! Have to try those with my muffin-maker! Thanks! These are amazing! My kids devoured them! I cannot recommend them highly enough. Thanks for this – I cannot tell you how many times I have made them in the last few months. Kids love them!!!! I add garlic, smoked paprika and use precooked bacon…..
What is ranch dry seasoning. ?